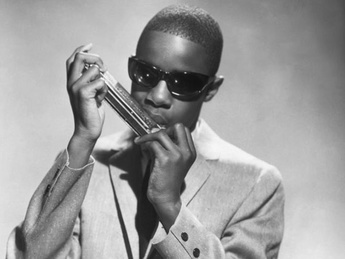 Our musician of the week is Stevie Wonder, an American singer, songwriter, record producer, and instrumentalist. 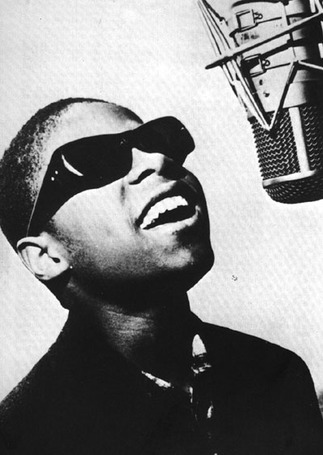 He was born as Stevland Hardaway Judkins but took the name Stevie Wonder as his stage name. 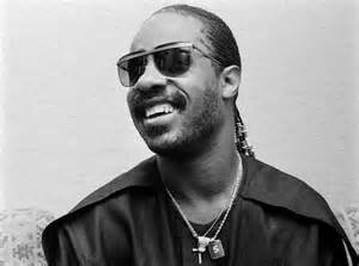 For years his nickname was “Little Stevie Wonder” because he was a child prodigy who became a professional performer at age 11. Wonder began playing instruments at an early age, including piano, harmonica and drums. He and a friend started singing and playing on street corners, and occasionally at parties and dances. He always wears sunglasses because he has been blind since shortly after his birth. When it's time for him to perform, someone escorts him onto the stage. 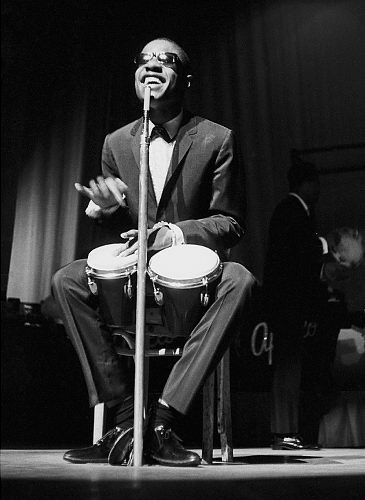 Stevie Wonder became one of the most creative and loved musical performers of the late 20th century. Our listening example is “You Are the Sunshine of My Life”. 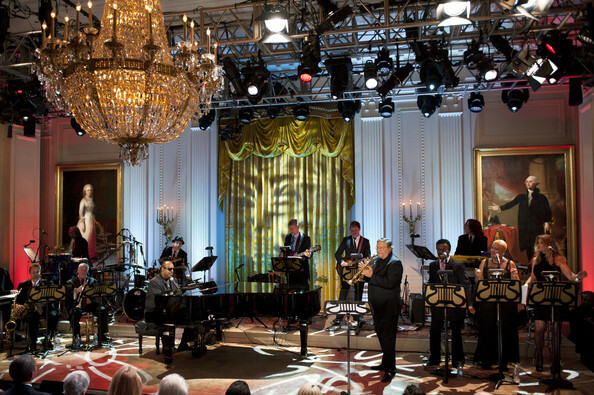 At age 65, Stevie Wonder still has a soft, smooth tenor voice that is easily recognized when heard. Place of the Week Review: Where is this? 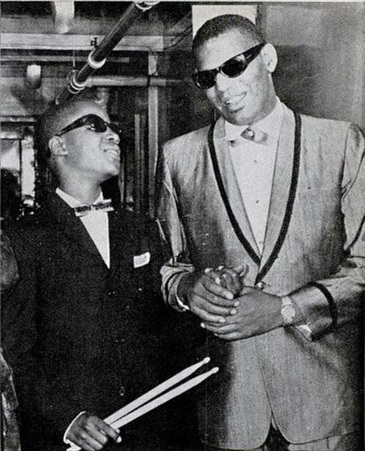 In 1961, at the age of 11, Stevie Wonder sang one of his own compositions for Ronnie White, a member of a soul group called the Miracles. 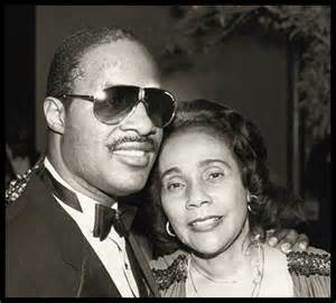 White took Wonder and his mother to an audition at Motown Studios in Detroit, the producer for many African-American artists. 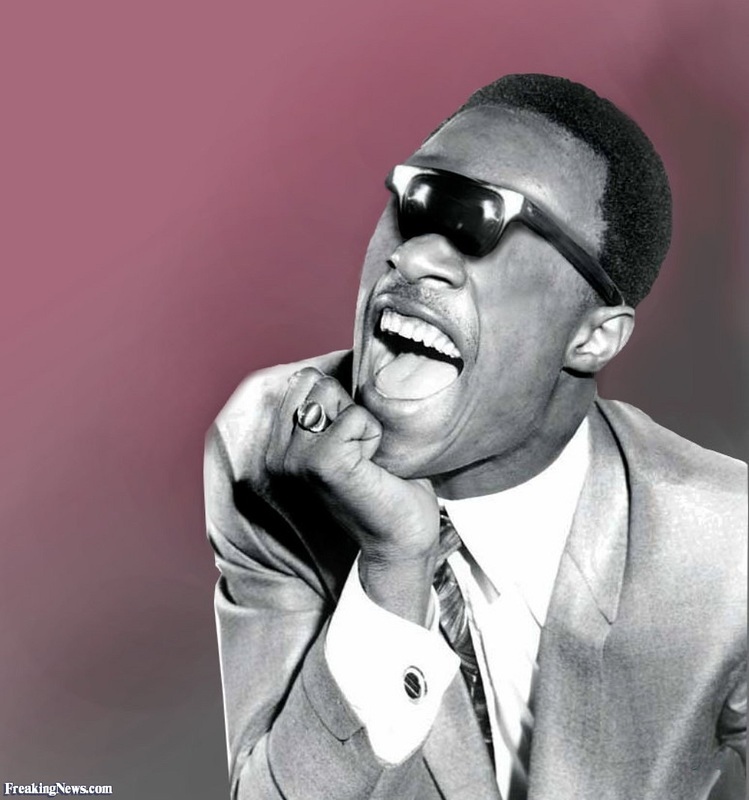 Wonder was offered a contract and given the stage name 'Little Steve Wonder'. Because of his age, any monies he received would be held in trust for him until he turned 21 years old. He and his mother were given weekly money to cover their living expenses and Wonder received $2.50 a week. A private tutor was provided for when he was on tour so he could continue his education. Stevie and Mom, Lula Mae Hardaway Graduation time! In 1963 the single song "Fingertips" became a major hit. It was off the album Recorded Live: The 12 Year Old Genius. "Fingertips" is mostly an instrumental jazz piece with only a few stanzas of lyrics. It was meant to showcase Wonder's talents on the harmonica and bongos. The song became a No. 1 hit on the music charts. 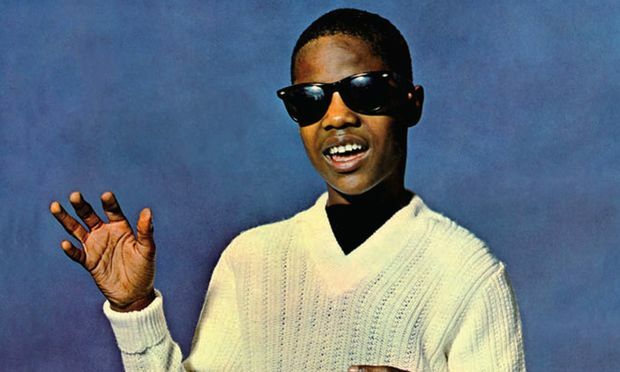 At age 13, Stevie Wonder was the youngest artist ever to top the chart. 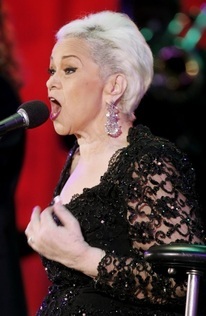 The song features Wonder's talented harmonica playing and his famous 'call and response' with the audience, "let me hear you say, yeah". 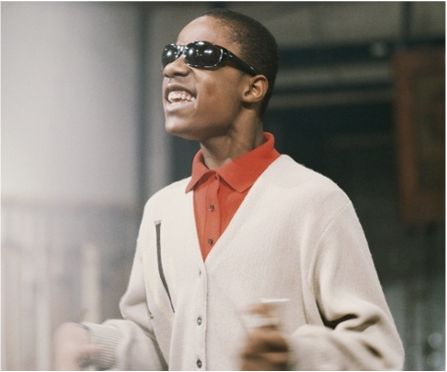 Even at a young age, Stevie Wonder had a talent for engaging his listeners in the music. 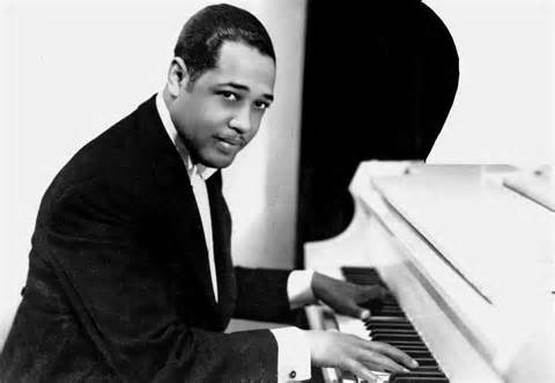 Our listening example today is called “Sir Duke”, a song written in tribute to Duke Ellington, a jazz pianist and bandleader who had influenced Wonder's music. 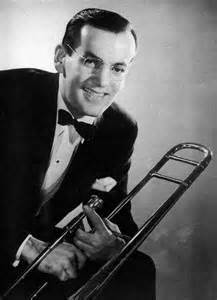 The song lyrics also refer to jazz band leaders Count Basie, Glenn Miller, “Satchmo” Louis Armstrong, and jazz singer Ella Fitzgerald. 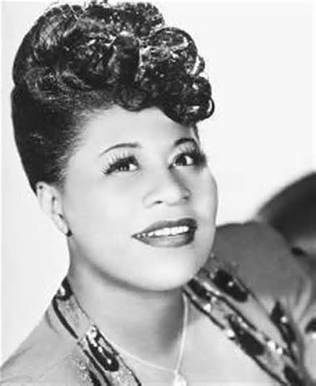 After Duke Ellington died in 1974, Wonder wanted to write a song acknowledging jazz pioneers he felt were important. And he wanted to show his appreciation of them. “Sir Duke” is from Stevie Wonder’s 1976 multi-award-winning album called Songs in the Key of Life. "Sir Duke" is Stevie Wonder's writing at his finest. The song has an amazing, famous introduction. The melody starts with broken chords played by trumpet and saxophone and joined by voices. It then climbs up the scale and back down in a bold, jazzy rhythm played by all the instruments. Perhaps the opening lyrics explain the infectious nature of this song: "Music is a world within itself, with a language we all understand . . ."
Broken chords - chords where the pitches are played one note at a time instead of together at the same time. Today we will hear an example of a popular song influenced by music technology. 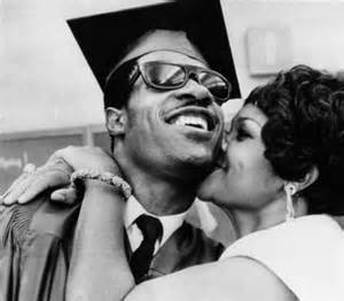 “Superstition” is a song produced, arranged and performed by Stevie Wonder for Motown records in 1972. This song marked a major change for him because it was a glowing example of his new role as a music producer. 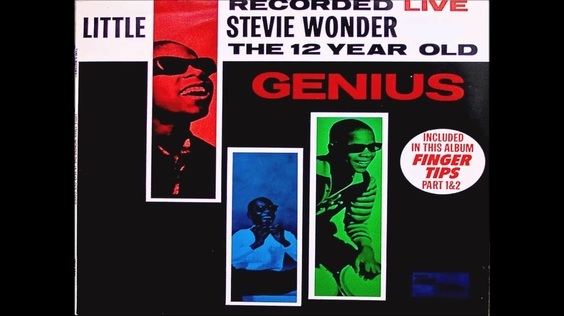 When Stevie Wonder produced this song, he played and recorded almost all the instruments himself in a studio where he could layer the sounds on tracks. But Wonder still preferred to let other guitarists play on his records. 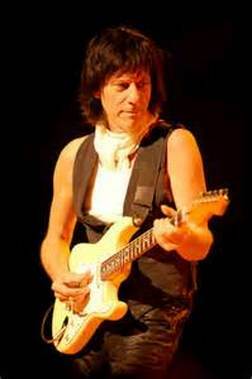 He liked the idea of recording his next album with Jeff Beck, a star guitarist. They started work on an album called Talking Book. 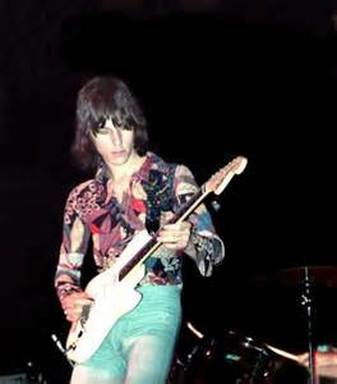 Jeff Beck Jeff Beck in 1972. In between recording sessions, Beck came up with the opening drum beat which eventually led to Wonder's creation of "Superstition". 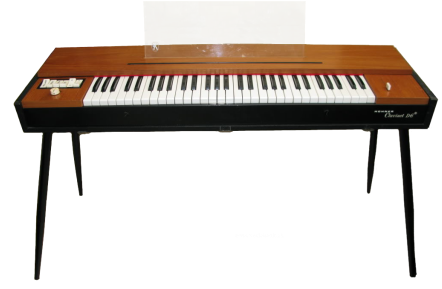 He used new music technology to create the repeated pattern played on a Hohner Clavinet keyboard. These keyboards were manufactured in West Germany from 1964 to the early 1980’s. 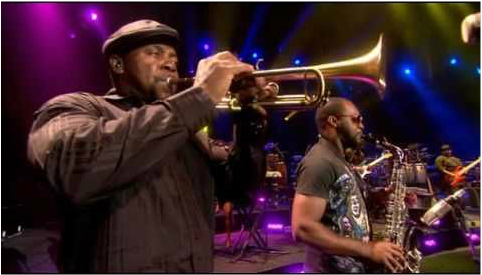 They had a bright staccato sound (short sound) that was good in funk, disco, rock and reggae songs. 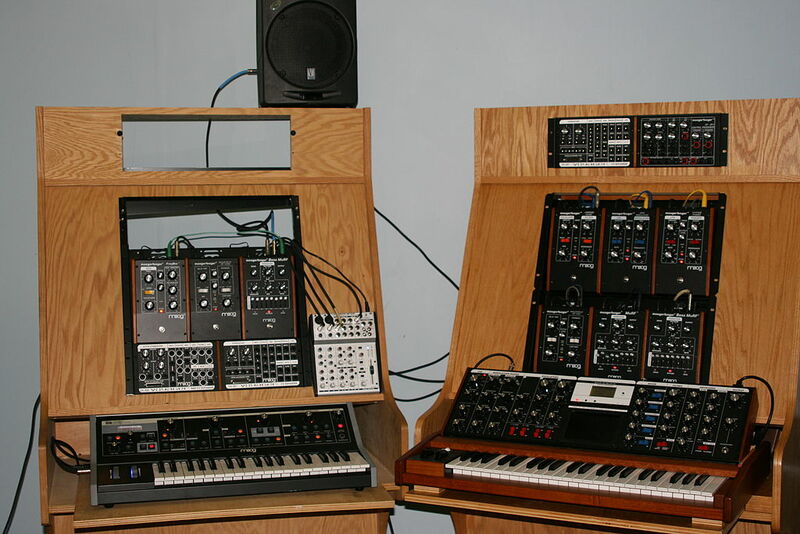 Synthesizers have the capability of reproducing many sounds through a keyboard, and Wonder used a Moog synthesizer for the bass line. 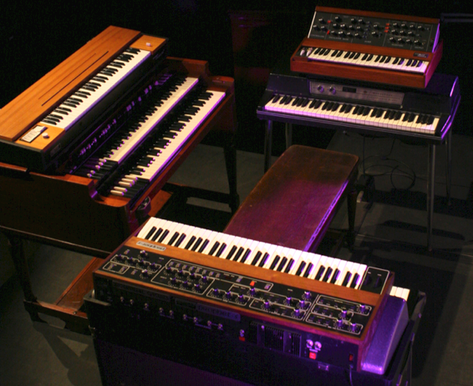 Robert Moog was an American pioneer of electronic music. 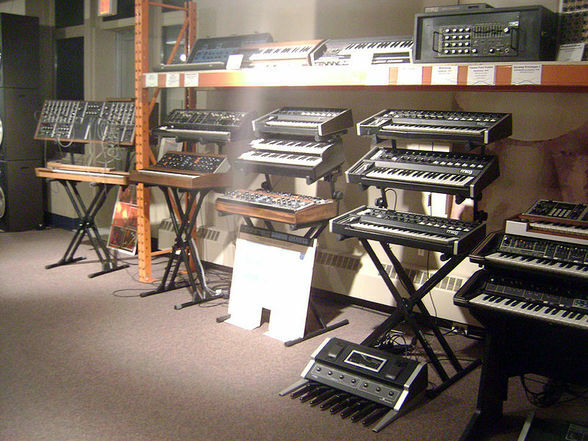 These early synthesizers were analog rather than digital. 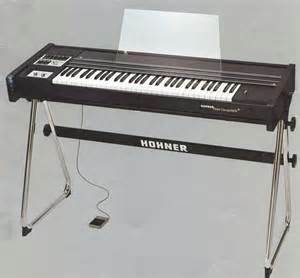 Hohner D6 Analog Clavinet like the one Stevie Wonder played "Superstition" on. 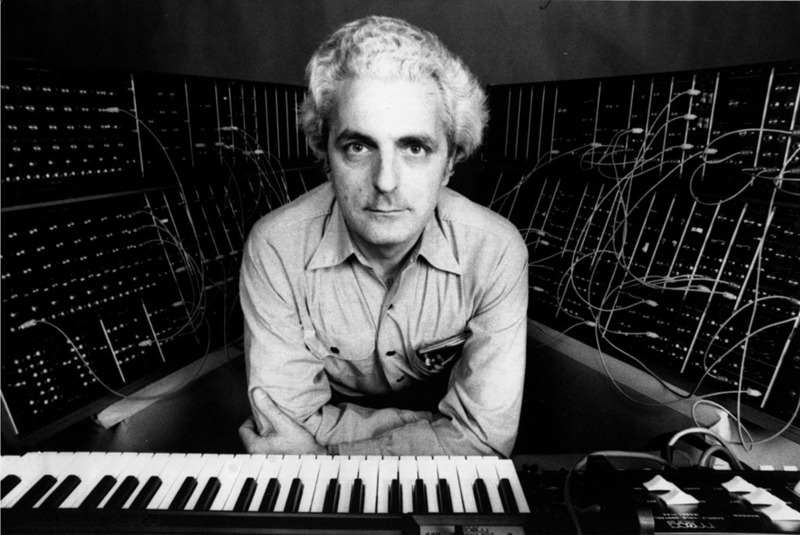 Robert Moog, American pioneer of electronic music. 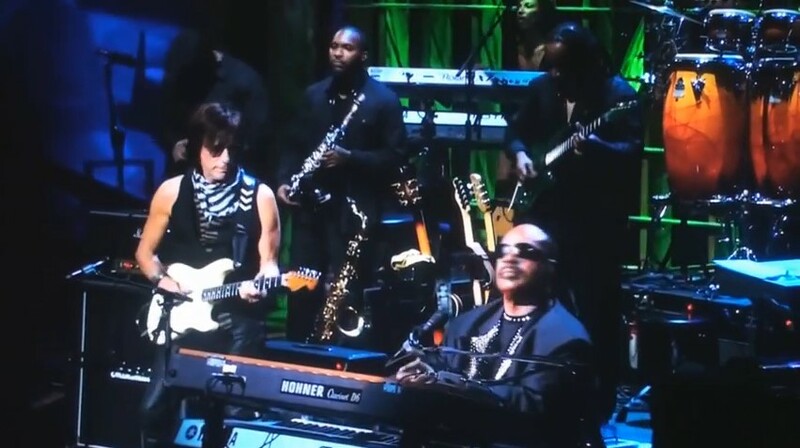 Jeff Beck and Stevie Wonder perform "Superstition"
The song lyrics refer to different superstitions that people can have. 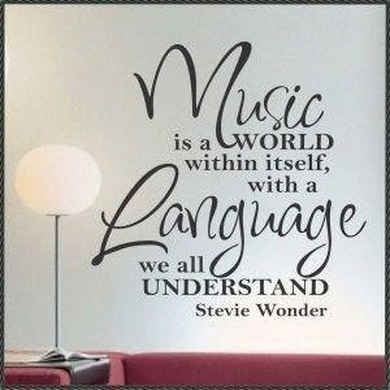 But in this song, it’s not the words that make it special, but rather the creative way Stevie Wonder wrote the music. In 1973 he performed a live version of “Superstition” on Sesame Street. Youtube video - "Superstition" performed live on Sesame Street (6:45 min.) Video quality is not great but the sound is good. 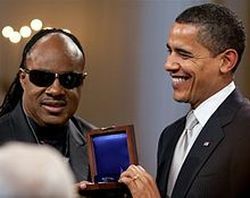 Stevie Wonder has been a prominent figure in popular music, with a record of many hit songs and numerous awards, including The 2009 Gershwin Prize. 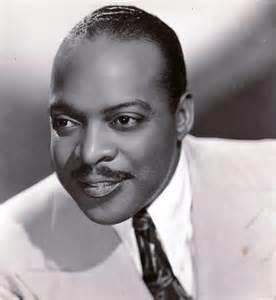 American music magazine Rolling Stone named him the ninth greatest singer of all time, and he was the first artist from Detroit’s Motown Records to win an Academy Award for Best Original Song. 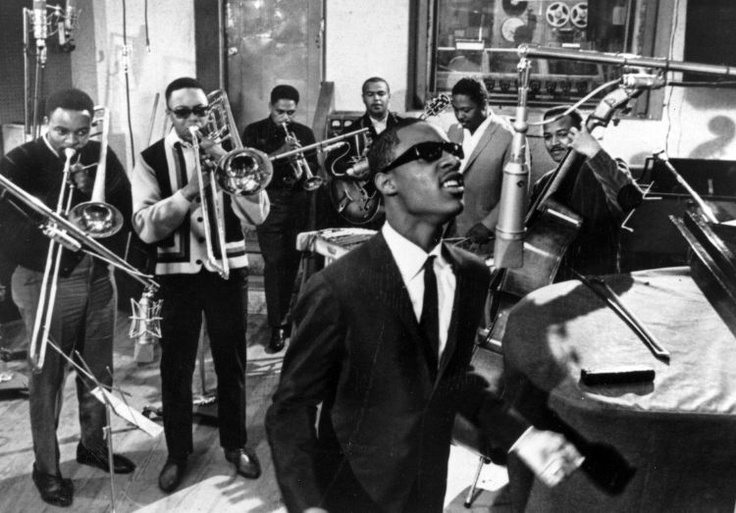 Stevie Wonder has worked with famous artists throughout his career, including Ray Charles, who like Wonder, was also blind. 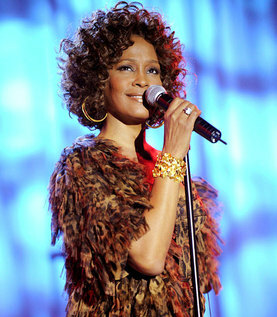 He sang at the memorial services for Whitney Houston, Etta James and Michael Jackson. 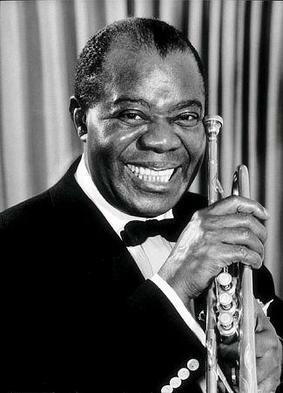 The hit song “Isn’t She Lovely” was written to celebrate the birth of his daughter, Aisha, a singer who sometimes joins her dad on stage. 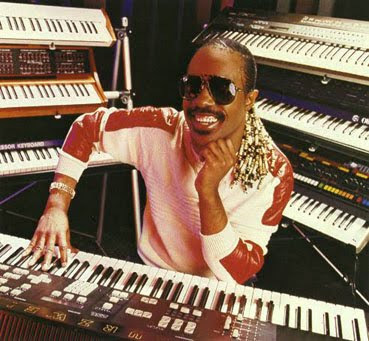 Stevie Wonder has been referred to as the “patron saint” of hip-hop music. 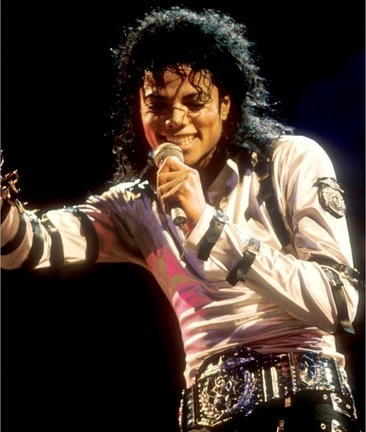 The same funky sounds and patterns he created during the 70’s disco era can be heard in today’s music. 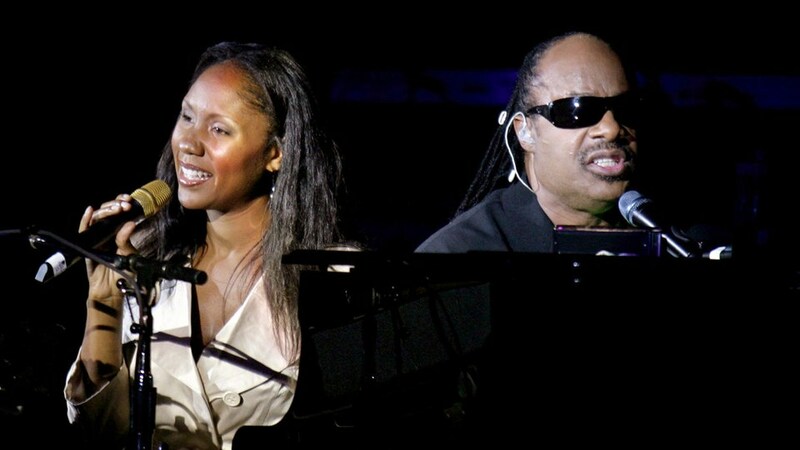 It has also been suggested that part of Stevie Wonder’s genius as a musician resulted from his disability, because often the loss of one sense will lead to higher development of the other senses, such as hearing. 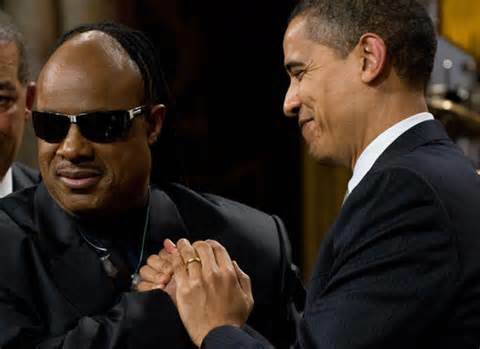 It is amazing to think that someone without vision can reach the heights of success achieved by Stevie Wonder! He seems to project an image of positive joy in life. impossible things come true, such as rainbows burning the stars out in the sky, or dolphins flying. The simpler music style allows the quality of Wonder’s voice to shine through. This 1976 video gives us a live view of a song being recorded in a studio. The large soundboard at the beginning is called a "mixer" where sounds are blended. Youtube video - "As" - Live in the Studio 1976. (3:21 min.) A good perspective of a song ﻿being recorded in a studio.